Posted Jan. 15, 2019, 10:03 a.m.
From the earliest electronic sound experiments to the digital revolution of the 1980s and beyond, synthesizers have had a hand in shaping popular music for decades. But today a new class of instruments rules the charts: soft synths. A soft synth is simply any synthesizer in software form (as opposed to a physical instrument), and they can produce sounds that hardware synths could only dream of. The Propellerhead Shop is a sonic wonderland of synth plugins of every shape, size, and flavor. With countless Rack Extension plugins at your fingertips, any sound you’re looking for is within reach—along with some you didn’t even know you were looking for! 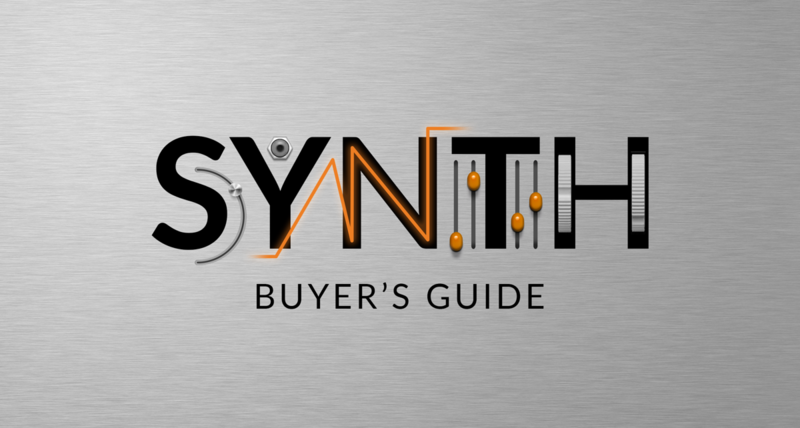 To help you find the perfect plugin addition to your Reason rack, we’ve narrowed down the soft synths available in the shop into three broad categories: modern powerhouse synths, vintage and analog-modeling instruments, and unique, one-of-a-kind devices. Europa is an infinitely powerful spectral wavetable synthesizer plugin capable of morphing waveforms into sounds you didn’t know were possible. With 30+ wavetables, 24 filter types, advanced modulation and powerful effects, Europa is capable of creating epic pads, huge chords, aggressive biting basses, and everything in between. Europa is included for free in Reason 10. Expanse features 67 wavetables, three LFOs, and 32 filter modes for serious tone-sculpting power. A super-flexible envelope editor lets you add or remove stages to create your own custom envelopes, and expansive CV inputs on the rear panel let you control and modulate almost every parameter with external sources. The Nostromo Spectral Synthesizer provides a never-ending source of auditory modulation and changing textures with a staggering 3800 waveforms and 1000 LFO shapes to choose from. Six LFOs and six looping DAHDSR envelopes give you unparalleled control over how your sounds evolve over time. Solar 5 synthesizer plugin blends samples and wavetables for truly unique hybrid sounds. Five oscillators can be assigned to 15 wavetables or 23 samples, including vocals, strings, piano, brass and even digeridoo. Each oscillator has its own modulation matrix plus a global modulation matrix for infinite modulation possibilities. The ABL3 faithfully recreates the famous Roland TB-303, beloved by the acid house and techno scene. The ABL3’s single oscillator excels at producing squelchy, in-your-face sawtooth and square tones that fit right in with pounding kicks on the dancefloor. Straightforward controls and a classic step sequencer interface (updated with a few extra features) make creating killer basses easy. Synapse Audio’s Antidote combines the best of analog and digital synthesis. Its two stereo oscillator banks keep things simple, but each can be stacked with up to 50 virtual oscillators for extra-thick sounds. A unique diode ladder filter precisely models the growl and squelch of the TB-303, and a full suite of onboard effects only sweetens the deal. According to developer kiloHearts, kHs ONE “was not designed to be a fat analog beast with a massive warm sound. That just happened anyway.” Two highly morphable oscillators give that analog warmth a modern edge, while chorus, delay, and a master section with an EQ and limiter add versatility. Best of all, kHs One’s streamlined layout makes crafting fat sounds a breeze. Rob Papen’s PredatorRE presents deep functionality via a retro-futuristic control panel with plenty of knobs to tweak. Three oscillators offer analog, additive, noise and spectral waveforms, all of which can be used to modulate each other. An extensively customizable arpeggiator and a wide array of onboard effects make PredatorRE a powerful all-in-one instrument plugin. Complex-1 is a brand-new modular synth plugin from Propellerhead that brings the quirks, freedom and sonic depth of modular synthesis to your Reason Rack. Best-in-class oscillators, filters, and modulation and sequencing modules provide endless possibilities. And of course, plentiful rear-panel I/O lets your entire rack become part of the modular system. As its name suggests, the Resonans Physical Synthesizer specializes in emulating real-world sounds (and creating otherworldy textures with an organic feel). Renonans’ advanced Modal Resonator, Inharmonic String, and Frequency Modulation engines can be excited by a noise generator, onboard sampler, or live audio input for endless variety. Parsec is a spectral synthesizer that features two powerful additive synthesis engines with up to 1024 oscillators per voice. Just some of the possibilities include using one engine for the attack of a sound and one for the sustain, layering both for huge unison sounds, or linking the two for complex interactions. Parsec can even act as a vocoder! The Hydronexius Workstation is much, much more than a synthesizer. Beyond its dripping wet leads, basses, and pads, Hydronexius can also produce smooth piano sounds, cinematic brass and strings, realistic plucks and bell tones, and even 808-style percussion. And with highly tweakable reverb and delay sections, you can create an entire song with the Hydronexius Workstation alone. Now you can get lost in your sounds instead of getting lost in the nearly endless selection of synths in the shop. Remember, it’s easy to try out Rack Extensions for free or even rent to own, so feel free to explore whatever strikes your fancy until you find the perfect fit for your rack.